Mixed reality technology is transforming several of Ford’s crucial processes for designing cars, trucks and SUVs. And it's facilitating the company's push into design thinking to put people at the heart of its innovation. Few industries are undergoing more technology-driven change than the automotive sector, which has found itself roiled by ride-sharing services, as well as electric and self-driving cars. 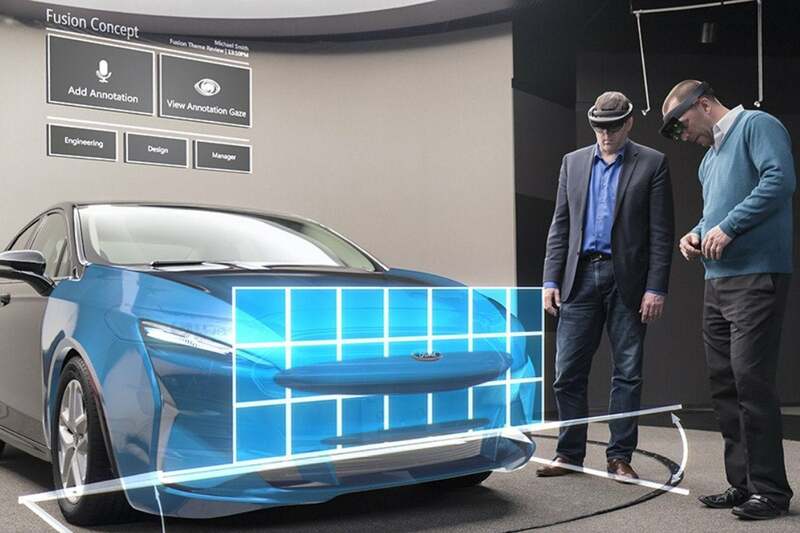 Another kind of digital disruption is happening at Ford Motor Co., where designers are using Microsoft's HoloLens headset to refine the look and feel of the company’s cars in accordance with human-centric design principles. HoloLens enables what is known as a "mixed reality" experience. Akin to virtual reality and augmented reality, mixed reality overlays contextual information atop a display. Blending physical and digital worlds, HoloLens helps employees complete their work untethered from a desk. Such flexibility, accompanied by the promise of improved operating efficiency, is a big reason why retailers, airlines and healthcare companies are embracing the technology. Efficiency gains are exactly what Ford was looking for when it approached Microsoft in 2016 to embark on a HoloLens proof-of-concept test, ideally to improve workflow for designers who make thousands of decisions in modeling Ford's cars, trucks and SUVs, Craig Wetzel, Ford's design technical operations manager, tells CIO.com. Following is an inside look at how HoloLens is helping to reshape Ford’s design process. Ford runs five mills that churn out full-size car models in clay. After a mill pumps out a model vehicle, designers and clay modelers scrape it by hand to refine its look and feel, after which it is scanned digitally for additional scrutiny. But this process makes it hard for designers to align the physical and virtual models because they can't see them side by side. In this process, designers, "can't see, feel, or touch the vehicle at full scale," Wetzel says. So when designers make changes to the clay model, they go back to the computer to see the impact, then go back to mold the clay some more. A lot of washing, rinsing and repeating ensues.